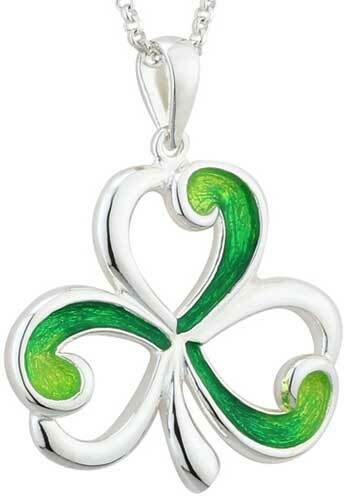 Shamrock pendant features sterling silver construction that is enhanced with green enamel accenting. This sterling silver shamrock necklace features an open leaf design that is accented with green enamel. 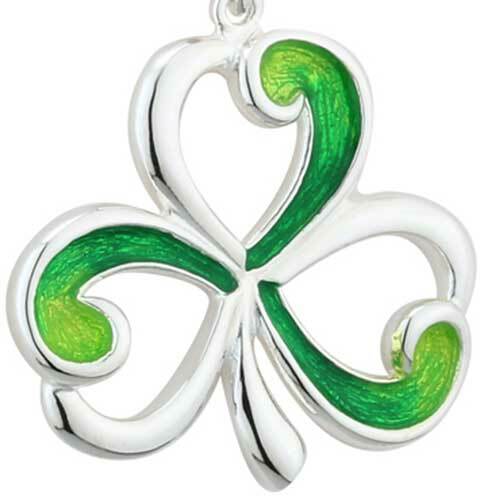 This shamrock pendant measures 7/8” wide x 1“ tall, including the jump ring and the chain bail, and includes an 18” long sterling silver chain.